As retained manager to a number of family trusts, ours is a unique perspective. Since pioneering the buyer’s agent model in Sydney back in 1998, a plethora of buyers’ agencies has materialised. And, just as we did before the turn of the century, they too now offer professional commercial property buying services. However, At Rose and Jones, our extensive local and international expertise as well as our proven ability to source and negotiate all aspects of commercial investment acquisition, positions us as market leaders in the field. As commercial real estate buyers’ agents, we pride ourselves on connecting our buyers with some of the finest commercial properties on the market. Furthermore, whilst many commercial buyers’ agents today are no doubt adept at commercial property acquisition, very few are as intimately involved as to manage the long-term portfolios of significant trusts. We have bought, sold and managed commercial property for many years, not just at an arm’s length capacity, but in a far more personal role as the long-term trusted advisor and manager to substantial family property trusts, whose portfolios include numerous prime commercial sites with yields and growth statistics that are testament to the experience that we have acquired over the years. As leading commercial real estate buyer’s agents, we are your ally in finding, securing, managing and leveraging your investment. It would be our pleasure to put this experience to work for you. Key Considerations What are the key considerations to take into account? key services What are your key services in relation to commercial buying? There is no one-size-fits-all approach to buying commercial property. Whether you are a passive or active investor, strategic buyer, looking for office or retail space, in every instance, due diligence is critical and some key conditions must be met. The attractive rewards of buying well are of course reflective of the associated risks. The opportunity to buy within this sector is not only appealing to the investor but also the owner-occupier for whom the long-term benefits of owning should be notably more profitable than leasing. 1 Location: It is important to understand local business trends and key demographics. Is there sufficient access to end-users and suppliers – and is the local infrastructure supportive of your endeavours. 2 Knowing the physical condition of the property is fundamental in determining the right purchase price. 3 Having clarity around the duration of leases is valuable in calculating what proportion of rental income is secured for what period of time and whether lease terms may affect any plans you might have for further development. 4 The quality of existing tenants must be established to offer confidence that rents are being paid timeously. 5 Have a clear understanding of zoning implications and the lawful uses for a particular property. 6 In many cases there are restrictions on what modifications can/can’t be made to a property. A full understanding of any limitations in this area is fundamental. 7 What are the availabilities of support services like? Seemingly obvious factors such as availability of parking and building security impact demand and in turn values. 8 Litigation on the property – Make sure that the property is unencumbered by any past or ongoing litigation. 9 Be aware of any ongoing hidden costs associated with the running or maintenance of the property. Buying commercial property is a complex undertaking and the information above represents only a portion of the considerations that must be taken into account. As commercial buyers’ agents, we are committed to representing you in every aspect of this complex yet rewarding process. 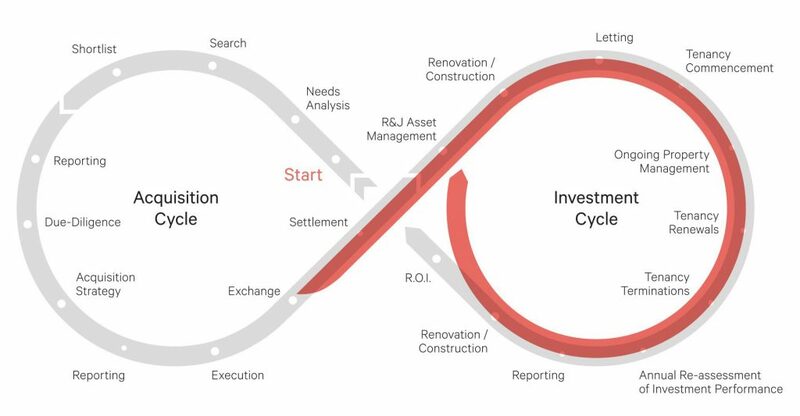 As dedicated commercial real estate buyers’ agents, our end-to-end solution accounts for every aspect of the buying process, from strategy through to search, due diligence, inspections, negotiation and settlement. Many of our clients come to us with a particular property in mind, seeking our assistance to run full due diligence and analysis of the property as well as develop and execute upon an acquisition strategy. Our extensive experience and vast real estate network means we can offer our clients a unique and valuable perspective into the optimal processes, sales and strategies as well as the best suited service providers, from real estate agents through to valuers, property lawyers and inspectors. Selling a commercial property can be a complex undertaking, requiring a significant investment of time, energy and capital – and can present complicated accounting and legal considerations. An enormous market of service providers and advice adds to the complexity, so from time to time, our clients call upon us to provide professional advice prior to and even through the sales process. Unlike the selling agent, as commercial buyers’ agents, our fee structure is not dependent upon the sale of the property, which means our advice is 100% focused on helping you, the vendor, to achieve the best possible outcome with the least amount of stress. Our extensive experience through the buying process and vast network of local real estate professionals means we can offer our clients a unique and valuable perspective into the optimal processes, sales and media strategies as well as the best suited service providers, from real estate agents through to property lawyers, specialist accounting services, valuers and inspectors. So, if you are considering the sale of a property and would like a professional, an experienced and passionate team of commercial buyers’ agents to ensure a smooth and successful transaction, we are happy to position ourselves at your side to help you make the best possible decision at every stage.